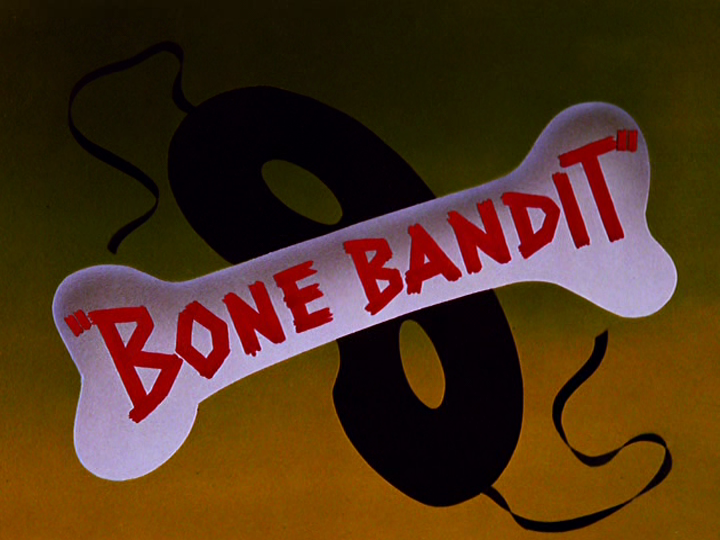 On April 30, 1948, the Pluto short film Bone Bandit was released to theaters. It was directed by Charles Nichols, with story by Art Scott and Sterling Sturdevant. The animation for this short was done by George Nicholas, Jerry Hathcock, George Kreisl, and Sandy Strother. Pluto has just woken up from a nap when he spies his empty bowl. He recalls the places he’s buried bones, and decides to go dig one up. Unfortunately, his bone is buried right next to a patch of goldenrod, to which he is allergic. After he sneezes, he hears a strange noise coming from below, and a gopher pokes his head up from the ground. The gopher collects the goldenrod and disappears before Pluto can catch him. The gopher then sticks his hand above ground, searching for more goldenrod, when he latches on to Pluto’s tail and drags the dog into a hole. When Pluto pulls his tail and the gopher out from the hole, the gopher tries to make amends and quickly scamper away, but Pluto reaches into the hole to catch him. When he finds a bone instead, he happily pulls it up, but the gopher, who used Pluto’s bones to prop up his house, bites his paw. Pluto, however, successfully props up the bone, and the gopher tries to use a carrot in the bone’s place. Pluto sets out to chew on the bone, but more goldenrod nearby causes him to sneeze. The gopher laughs at Pluto’s predicament, but Pluto’s sneeze shoots the bone away from the goldenrod, and Pluto chomps on the bone happily. The gopher, still peeved about his bone being taken away, decides to get back at Pluto by making him sneeze from the goldenrod and taking the bone when he’s sneezing. After the gopher tries to get away, Pluto runs after him, but the gopher arms himself with more goldenrod. Once the goldenrod is gone, however, the chase is on all over the garden, with Pluto sneezing up a storm through the goldenrod. Pluto lands in the hole leading to the gopher’s home; the carrot the gopher used to prop up a part of his house gives under Pluto’s weight, and the whole house sinks in. 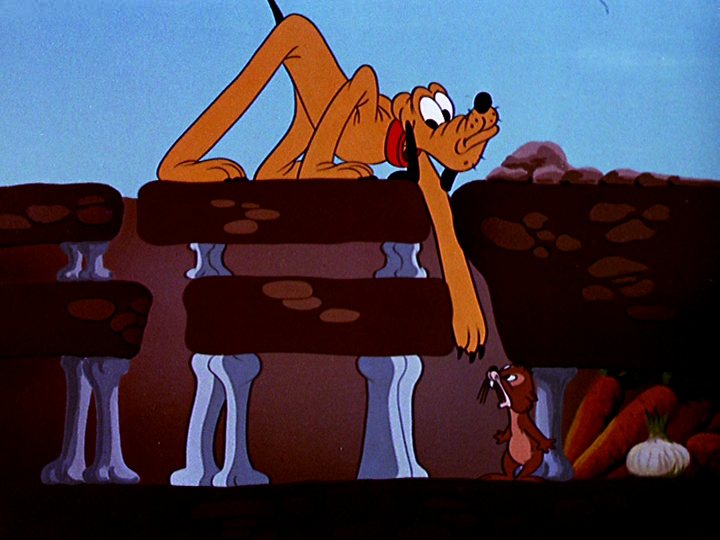 Pluto is able to retrieve his bone, and the gopher, unfortunately, has developed an allergy to goldenrod. 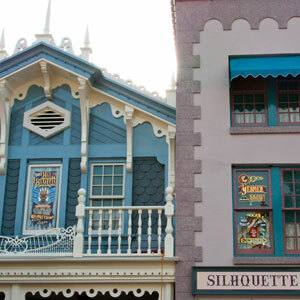 On April 29, 2009, Imagineers and Disney Legends Don Edgren and Rolly Crump were awarded windows on Main Street, USA, of Disneyland. Edgren worked for Disney in 1954, when the engineering company he worked for was hired to help create Disneyland. After working on the construction of the Matterhorn, he was officially hired by Disney in 1961. Edgren was instrumental in the creation of Walt Disney World in Florida and Tokyo Disneyland. His window was awarded posthumously, as he passed away in 2006. Marty Sklar, the Imagineering Ambassador, noted that with Edgren’s “can-do” attitude, he was able to meet any challenge he faced at the parks. Crump was also awarded at the ceremony, having been a key designer in many popular park attractions, including the Enchanted Tiki Room, it’s a small world, and the Haunted Mansion. Sklar said in his speech that Walt especially appreciated Crump’s willingness to take risks. Crump joined Disney in 1952, originally as an animator and an inbetweener, but found his true calling in 1959 when he moved over to WED Enterprises. Posted in Uncategorized and tagged 2000s, Disney Legend, Disney Park, Imagineer, Winnie the Pooh. Bookmark the permalink. 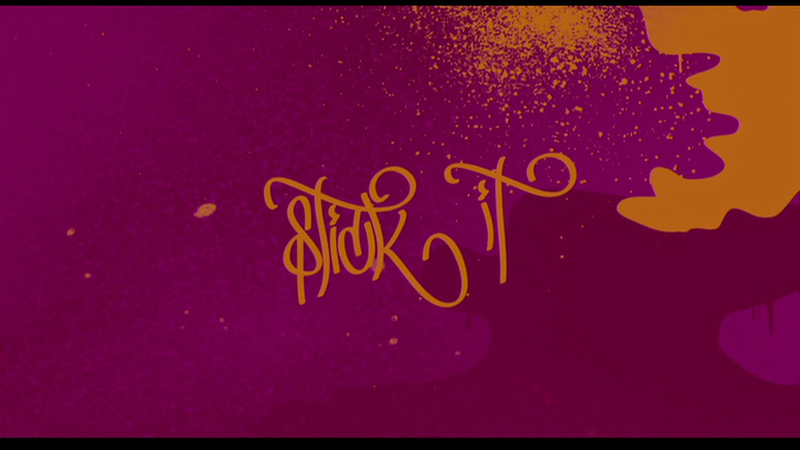 On April 28, 2006, the live-action feature film Stick It was released to theaters through Touchstone Pictures, an alternate film label of the Walt Disney Studios. The film was written and directed by Jessica Bendinger, and stars Missy Peregrym as Haley Graham, Jeff Bridges at Burt Vickerman, Vanessa Lengies as Joanne Charis, Maddy Curley as Mina Hoyt, Nikki SooHoo as Wei Wei Yong, Kellan Lutz as Frank, and John Patrick Amedori as Poot. The film opens at construction site, with three kids playing in an empty pool, performing tricks with their bikes. Some skateboarders show up and challenge the three bikers for control of the pool. The skateboarder falls, and one of the bikers is able to perform some great moves, until they break through a window of one of the houses, and the alarm is accidentally set off, sending all of the kids on the run. The one who broke through the window is revealed to be 17-year-old Haley Graham, who is soon taken to court. Instead of jail, the judge give Haley two options that Haley’s father is willing to pay for: Texas Military Academy, or a place called VGA. Haley immediately picks the military academy, but the judge picks VGA. She runs into her friends Frank and Poot, the other pair at the pool, who ask where she’s going. She lies and says she’s heading to juvie, and they give her a phone to keep in touch with them. VGA, however, is the Vickerman Gymnastics Academy, and it is revealed that Haley was a ­well-known gymnast, who walked out on the World’s Competition and cost USA the gold medal. Haley doesn’t take it seriously at all, and is taken by Burt Vickerman, the owner, to a separate gym to train. Haley and Vickerman don’t get along in the beginning, as Haley doesn’t respect him, and Vickerman won’t put up with her antics. Haley immediately makes enemies with Joanne Charis, a girl she used to compete with all the time, and the other gymnasts, who lock her out of the dorm, as they still have a grudge against her walking out at the World Competition. Vickerman gives Haley an option: if she trains and wins the money at the Classic Competition, she can pay her restitution and go back to regular life. At first, she rebukes his offer, but then decides she wants out, and winning the money at the Classic is the only way, so she begins to train. Frank and Poot break into VGA to help Haley escape, but are soon caught by the moms of the other gymnasts. They have a brief reunion with Haley, but are soon sent away by Vickerman, as Haley needs to prepare for the Classic. After intense training, Vickerman announces to the gym who will be competing in the Classic, and Haley is angered to find she is not on the list. Vickerman then suggests that they have an in-house competition to determine who will go to the Classic. Wei-Wei wins the in-home, followed by Mina, with Haley coming in third. Joanne comes in as an alternate, and is furious. Fortunately for her, the fourth place winner gets injured, and Joanne goes to the Classic. Everyone at the Classic gives Haley a less-than-friendly welcome, with one girl throwing her drink at her, saying, “That was for Worlds.” Haley tells Wei-Wei and Mina that they should push it instead of sticking to cookie-cutter routines. 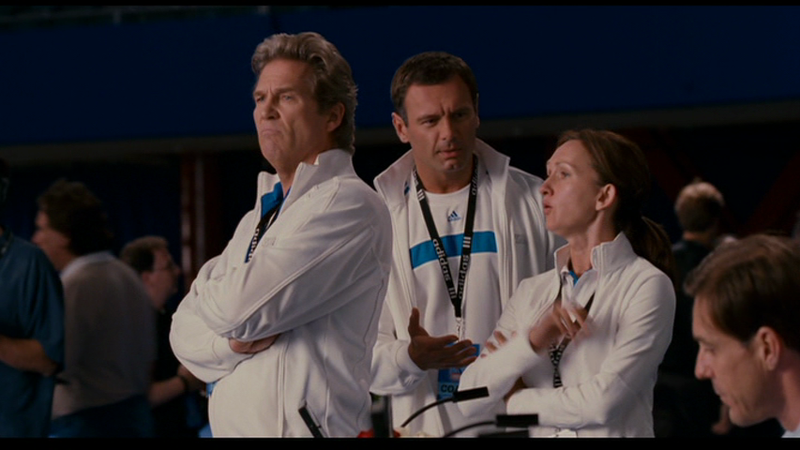 Vickerman is angry that Haley is upstaging his coaching with the other girls. Haley, however, follows her own advice, and soon shows up on the leader board. Joanne, however, psychs Mina and Wei-Wei out, convincing them that Haley has been telling them to push it so they will screw up and she will win the purse. Haley is soon distracted by her mother showing up, telling her that Vickerman doesn’t respect her and has her father paying him off to keep her at VGA, as no other gym wanted to take her. With everyone seemingly turning against her, Haley can’t take it anymore, and walks out of the competition after her beam routine, refusing to finish. When Vickerman tries to figure out why she’s leaving, he finds out the real reason Haley never finished Worlds: her mother was having an affair with her old coach, and she found out right before the floor competition at Worlds. Frank and Poot pick her up, and they drive away together. Haley soon meets with the judge, and finds that Vickerman has written a letter to the judge, using the payments from her father to pay her restitution. She continues to hang out with Frank and Poot, but goes back to VGA to thank Vickerman. She decides to stay and take the gym to championships. When she convinces Vickerman to try trampolining again, he gets injured and leaves the girls alone. Frank and Poot show up, taking all the girls out for the evening. Poot scores with Joanne, and he invites her to prom. Joanne is ecstatic about going to prom, but her mother forbids it. Vickerman, however, tells Joanne’s mother that Joanne’s chances of getting to the Olympics are slim to none. Angered, Joanne’s mother pulls her out, but Joanne chooses to stay at VGA. The National Competition arrives, and Haley tries to make amends for what happened at Worlds. Haley has a problem with what the judges say, as do many of the other contestants, as it’s “not about how well you do, it’s how well you follow their rules.” Although she doesn’t qualify for Worlds, Haley has a chance to compete at the individual events. Mina performs and dominates a difficult vault move, but is distraught that she got a deduction for a silly technicality – her bra strap was showing. The contestants are pissed, and Haley decides to take action against the biased judging: she pulls out her bra straps, and intentionally scratches the event finals. Joanne, in a rare act of kindness, decides to follow Haley’s lead, intentionally scratching. The competitors follow suit, making Mina the automatic winner of the vault event. Joanne then comes up with the idea that the competitors decide the winner of the events rather than the judges. Wei-Wei gets ready for the beam routine, with the judges rather annoyed with their antics. Tricia Skilken, the winner of the all-around event, steps in and decides to compete, making Wei-Wei nervous, but she decides to give it her all, adding some break dancing moves to her routine. Haley is picked to win on the floor routine, up against Tricia, who is still angry at Haley for walking out at Worlds. Haley is about to go on the floor, when Vickerman pulls her aside and tells her that he is very proud to be her coach, and she shouldn’t dare hold back. This is all Haley wanted to hear, and she gives it her all on the floor routine. Inspired by the actions of the other gymnasts, and by the raw power exerted by Haley, Tricia decides to put aside her pride and scratch, making Haley the new Floor Champion. The film ends with Vickerman informing her that several colleges have looked to scout her for NCAA gymnastics. Posted in Uncategorized and tagged 2000s, Color, Feature Film, Live Action, Touchstone, Women. Bookmark the permalink. 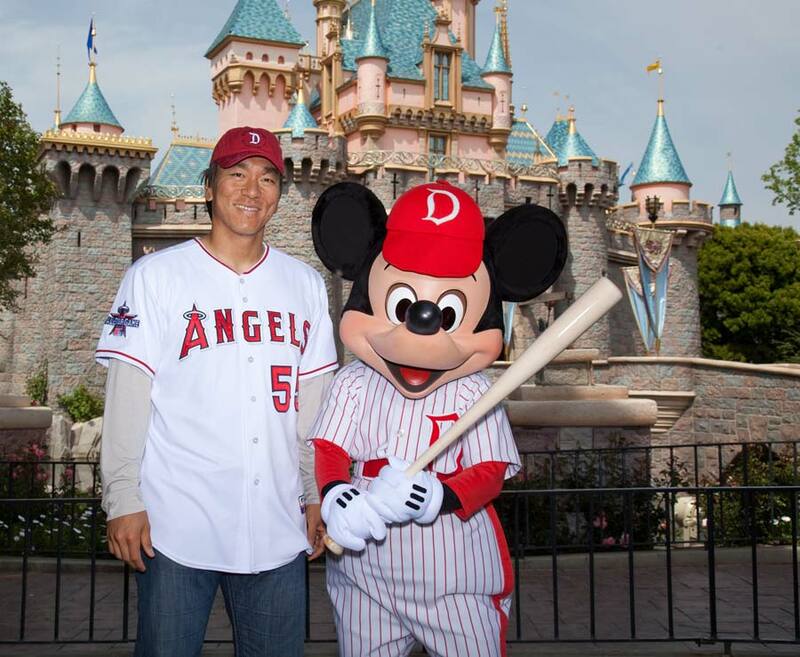 On April 27, 2010, baseball player Hideki Matsui of the Los Angeles Angels of Anaheim visited Disneyland for the first time. After joining the Angels in December of 2009, Disney officials in Japan arraigned for Hideki to travel to the California park, located two miles away from the Angel Stadium. A group of 40 Japanese journalists followed Hideki around the park, documenting his first visit. Hideki posed for pictures with Mickey Mouse (dressed in a baseball uniform) before setting off on the “it’s a small world” attraction. It was also noted that the timing couldn’t have been more appropriate: Hideki’s jersey number is 55, and he was visiting on the 55th anniversary of the park. Posted in Uncategorized and tagged 2010s, Disney Park, Mickey Mouse, Visit. Bookmark the permalink. 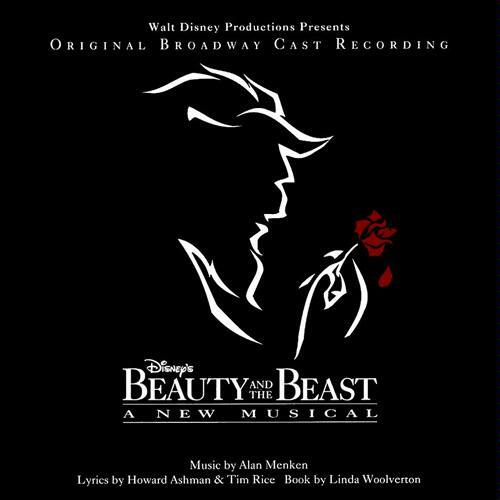 On April 26, 1994, the Original Broadway Cast Recording for the musical version of the hit film Beauty and the Beast was released through Walt Disney Records. The recording included the talents of Susan Egan as Belle, Terrence Mann as Beast, Burke Moses as Gaston, Gary Beach as Lumiere, and Beth Fowler as Mrs. Potts. The album contains all the songs performed in the musical, except for “A Change in Me,” a song that was added to the production in 1998 for Toni Braxton while she played Belle. Many new songs were added to the production in the process of adapting it to the stage, including “Me,” sung by Gaston; “Home,” sung by Belle; “How Long Must This Go On?” sung by Beast; “If I Can’t Love Her,” sung by Beast; “Human Again,” which was a song written for, and cut from, the original film; and “Maison des Lunes,” sung by Gaston, LeFour, and Monsieur D’Arque. Posted in Uncategorized and tagged 1990s, Broadway, Cast Recording, Music, Soundtrack. Bookmark the permalink. On April 25, 1953, Ronald Francis Clements was born in Sioux City, Iowa. He began his animation career at Hanna-Barbera; soon after starting there, he was accepted into the Disney Talent Development Program, working under legendary animator Frank Thomas. He began full employment at Disney in 1977, working as a character animator on the films The Rescuers and Pete’s Dragon. 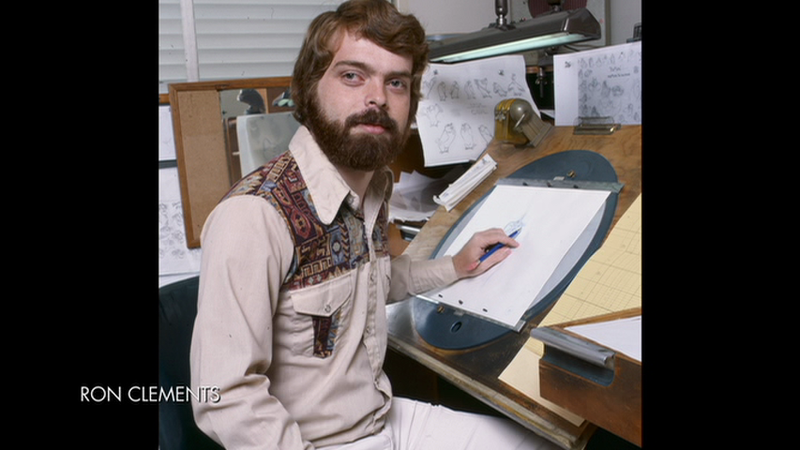 Clements would then become the animation supervisor on the 1981 film The Fox and Hound, with future collaborator John Musker working under him as a character animator. Clements and Musker would then pair up as story artists on the film The Black Cauldron in 1985. In 1986, the two would make their directorial debut on the film The Great Mouse Detective. In 1985, there was what was called a “gong” show, which was a way to call for story ideas from the staff. Clements brought forth the idea The Little Mermaid, writing a two page treatment for the story. At first, Clements’ idea was “gonged” because a sequel to the hit film Splash was in development, but the next day, Jeffrey Katzenberg told Clements that he liked the treatment, and the studio was willing to go forward and create the film. Clements and Musker then wrote and directed The Little Mermaid, which became a huge success for the studio, revitalizing the animation department. Clements and Musker would repeat their success in 1992 with Aladdin, which they both wrote, directed, and produced. The two would then direct the modest success Hercules in 1997. In 2002, the pair directed Treasure Planet, which was nominated for an Academy Award for Best Animated Feature, but it was a commercial failure. The two were reunited as directors for the 2009 film The Princess and the Frog. Posted in Uncategorized and tagged Animator, Births, Director, Feature Film, Producer, Screenwriter. Bookmark the permalink. 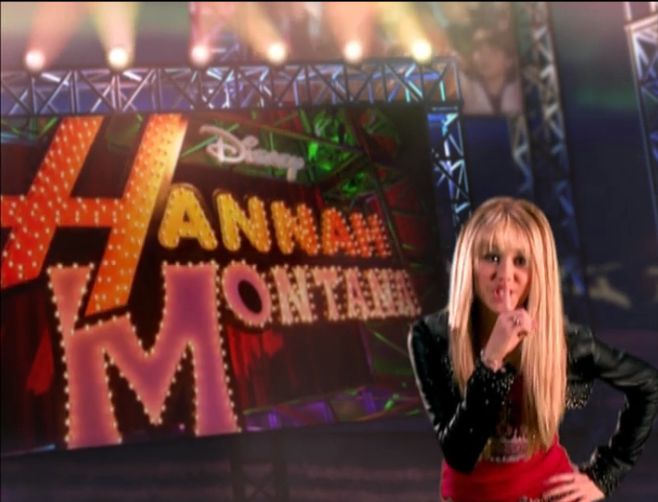 On April 24, the second episode of the second season of the popular Disney Channel Original Series Hannah Montana, entitled “Cuffs Will Keep Us Together” aired on the Disney Channel. The episode had 3.5 million viewers on its initial airdate. It was directed by Roger S. Christiansen, and written by Steven Peterman. 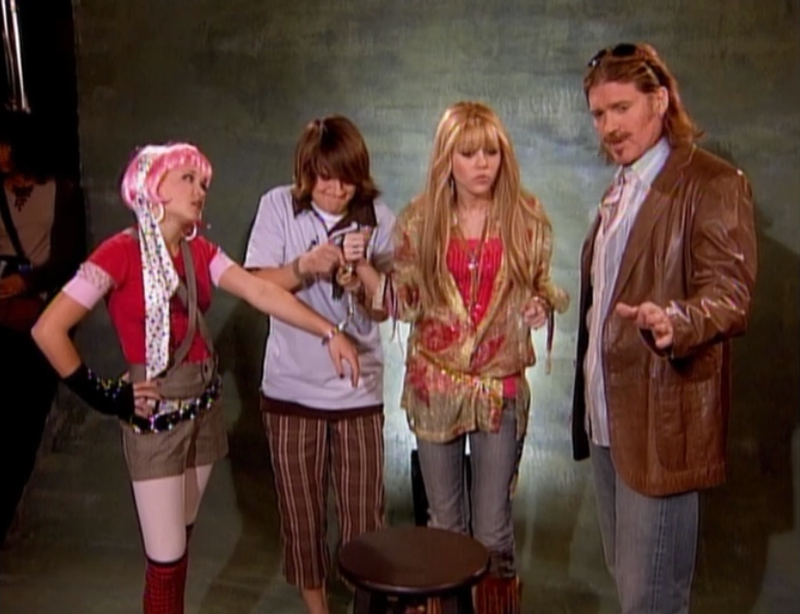 The episode opens in PE class, where Miley is furious that they have to play flag football again, as she is always the last one picked for a team. When best friend Lilly is picked as a team captain, Miley believes this is her one shot to not be picked last. However, as Lilly is determined to win, Miley is once again picked last for the teams, with Lilly not picking her at all. Later that day, Miley has a concert, but is still upset over the flag football incident, especially with what she perceives as a betrayal by Lilly. Lilly shows up at the concert, and Miley still acts bitter towards her. Meanwhile, Jackson and Robby being arguing over Jackson’s inability to listen to his father and do his chores, so Robby decides to give Jackson the silent treatment. At first, Jackson is thrilled that Robby won’t be nagging him anymore, but it quickly gets on his nerves. 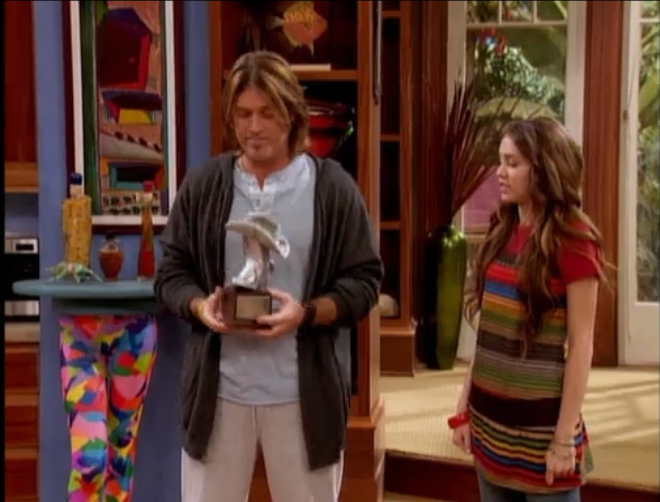 Robby gets a phone call and tells Miley that she just won an award called a Silver Boot for Best Country/Pop Crossover for her song “True Friend.” Miley is excited, and begins to say that she needs to tell Lilly, but remembers that she doesn’t want to talk to her best friend, as she’s still mad. Miley runs to tell her friend Oliver about the award, but he tells her she needs to make up with Lilly, although she refuses. Meanwhile, Jackson has resorted to getting a tattoo to get Robby to speak to him again, but chickens out before he can get anything done, with Robby still keeping firm to the silent treatment. As Miley and Oliver sit together on the beach, Lilly walks by and asks Oliver to go surfing with her. The two begin to fight over Oliver, and he is so fed up with their fighting that he takes his mother’s old handcuffs and handcuffs them together. Miley panics, as she has to get ready for the awards ceremony in two hours, but Oliver has misplaced the key. Jackson, desperate to have his father talk to him again, cleans the entire house and bakes Robby a cake. Robby starts talking again, and Jackson is relieved. Miley and Lilly continue fighting, but Miley needs to get ready for the show. The two struggle to get ready, and when they arrive at the studio, they are still fighting. When Oliver retrieves the key, it breaks, and is unable to take the handcuffs off. Miley has to give a speech about the song, and realizes the true meaning of friends. Lilly and Miley finally make up. At school the next day, they have to play flag football in PE again, and as they are still handcuffed together, Miley is picked second, along with Lilly. Posted in Uncategorized and tagged 2000s, Color, Disney Channel, Series, Television. Bookmark the permalink.